Food So now let’s look at the food, the menu is a single short page with a few items that cover most basics. Most dishes are between $12-$14 and coffee is $2 extra although you get free refills. One of our favourite items on the menu is the French toast $12. 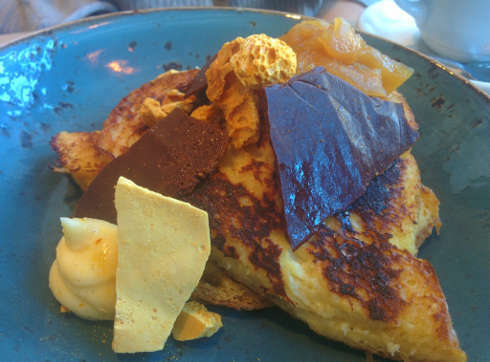 Now this is no ordinary French toast, it’s a Challah bread French toast with a custard cream and pumpkin. The slices of French toast are thick and they are the perfect mix of moist yet firm so they don’t get mushy. The custard on the side is a very nice and novel addition to an already outstanding dish. As French toast goes this one is quite memorable and even on subsequent trips I strongly suggest having it if you are a French toast fan. The marinated salmon crepe $13 is another impressive dish, with a crepe base topped with salmon and shrimp. 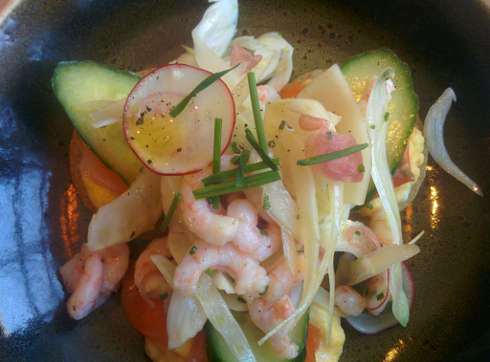 The shrimp seems to be based on availability as on some subsequent visits this dish did not come topped with shrimp. The portion is large and is actually quite filling even though its description does not lead one to think so. Having come here on a couple occasions we were curious to try the omelet $14 as we had many of the other dishes. As omelettes go this one was quite generous, tasty and came with a side of bread and latkes. 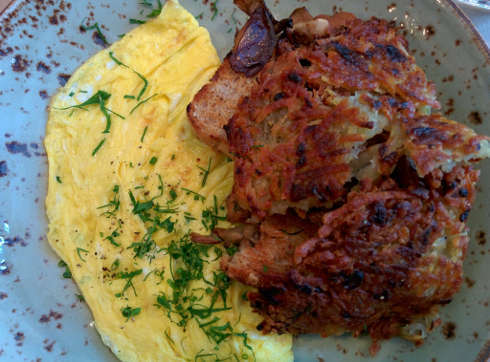 I enjoyed seeing latkes in this dish, it was a bit of a throwback and not something you see often on a brunch menu. It also makes the dish more filling. The omelette itself was tasty, nothing fancy rather, simple although tasty. Service Every time we come the staff is always kind and helpful, from the host to our waitress, we are never rushed, they are helpful with menu decisions and joke around once and a while. This makes it a place you can feel comfortable with easily. Vegetarian Many items on the menu are vegetarian friendly or have seafood in them, it’s a safe option for any vegetarian to go to. 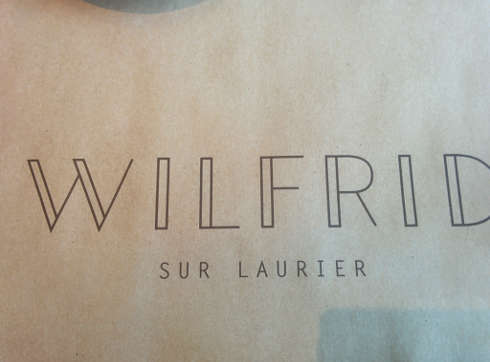 Wrap up Wilfrid sur Laurier is a welcome addition to the neighbourhood. You can go here and have a tasty meal with some incredibly impressive dishes like the Challah bread French toast and the salmon crepe. Once again the French toast is one of the best I have had in quite some time and is rather creative. 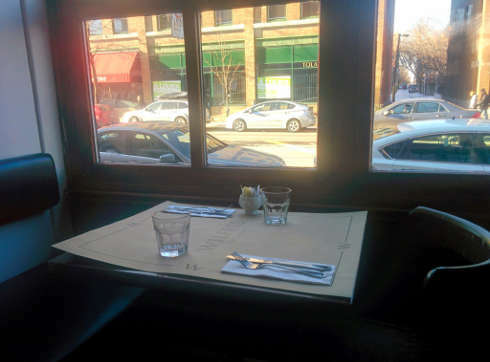 Reservations are possible as well and it’s a great spot for any occasion. With a terrace in the summer this could be an ideal brunch destination. The only fault we could find is that it gets cold in the winter as the vestibule does not provide enough protection from the wind.